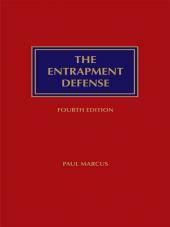 The Entrapment Defense presents a full discussion of trial issues under both subjective and objective tests. The book includes full treatment of the standards of proof for both state and defendant, as well as evidentiary problems facing the defense. 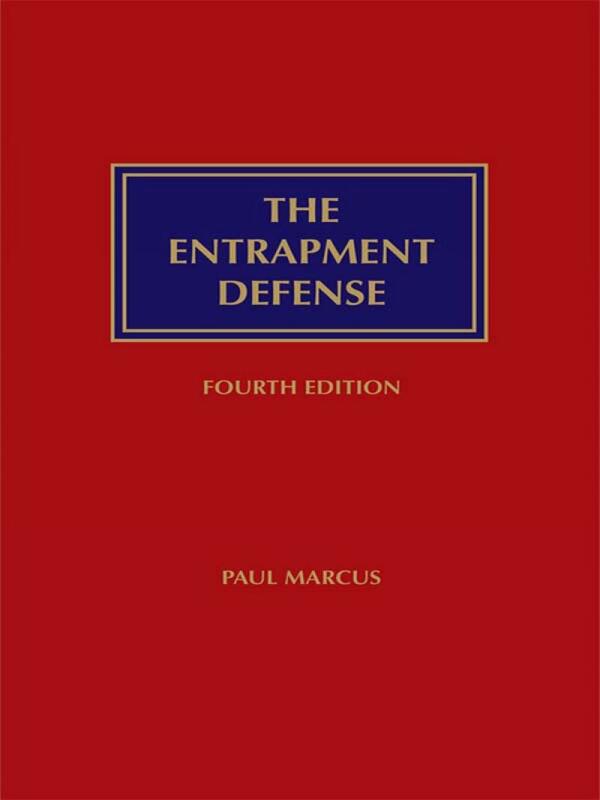 It gives special attention to inconsistent defense situations and exceptions to the inconsistent defense rule, due process issues, and other constitutional implications of entrapment. Paul Marcus joined the faculty of the College of William and Mary Marshall-Wythe School of Law in 1992 and presently is the Haynes Professor of Law. He is very much admired by his students and fellow faculty members for his enthusiastic and infectious love of the law. Professor Marcus also is recognized for his expertise in the fields of criminal justice, copyright law, entertainment and sports law, comparative and foreign law, constitutional law (fourth, fifth, and sixth amendments), and law and literature. He is frequently interviewed by the media (Wall Street Journal, New York Times, Washington Post, Los Angeles Times, CBS, NPR, and ABC) as an expert in criminal law and procedure. Prior to coming to William and Mary, he served as dean of the University of Arizona School of Law, taught at the University of Illinois School of Law and was a visiting professor at the University of Geneva, University of Melbourne, University of Puerto Rico, University of San Diego and the University of Texas. Following his graduation from the UCLA School of Law in 1971, he clerked for the United States Court of Appeals and then practiced law in Los Angeles. Professor Marcus is the author of Criminal Procedure in Practice, The Entrapment Defense, The Prosecution and Defense of Criminal Conspiracy Cases, and articles in many scholarly law journals. He is the co-author of Criminal Law: Cases and Material, Criminal Procedure: Cases and Materials, and Copyright and Other Aspects of Law Pertaining to Literary, Musical and Artistic Works. Professor Marcus is founder of the Literature and the Law Program at the Central Virginia Regional Jail. He was named Distinguished Citizen of the Year, University of Arizona; Volunteer of the Year, Williamsburg Big Brothers Mentoring Program; and Williams Teacher of the Year. He also received the Sullivan Award given by the College of William and Mary for outstanding public service.